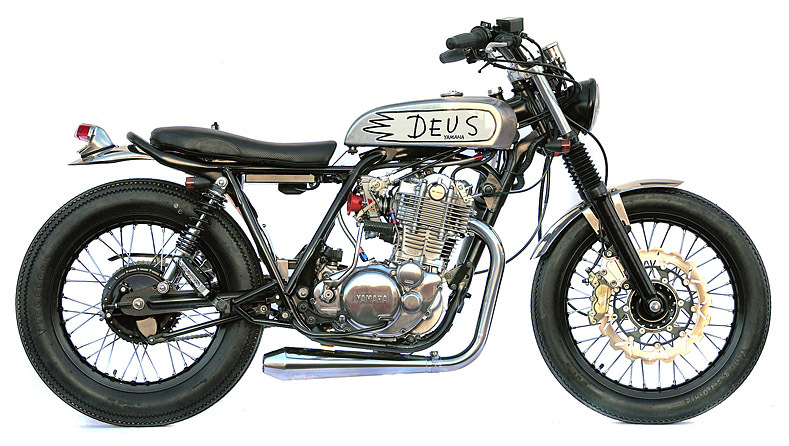 We love receiving the Deus Oily Rag in our inbox and discovering what the guys at Deus have been creating. The first thing that stopped us in our tracks is this SR400 Drovers Dog. Done in true Deus style, with a SR skinny tank and those beautiful vintage Firestones. The only thing that bugs me is the Deus graphics on the tank, l have to be honest I much prefer the original logo (but hey, a bit of paint stripper would fix that). Hit the jump for the full Drovers Dog gallery.